If there’s one thing true and inarguable you could say about most men, it’s that they don’t understand women! Just when they think that they’ve figured women out and have a dating strategy that can’t fail—bam! Their date throws them something out in left field that totally disrupts the whole game. They go back to the drawing board. In fact, all men really know for sure about women, all they’ve figured out thus far, is that they usually only have one chance. Once a woman decides that a man is un-dateable, or that he’s too much of a jerk, or that the chemistry is all wrong, it’s over! Game over. Lights out. Shower and go home, sport! Because, as I’m sure you can attest, once a man shows you his true character—and you decide you don’t like that character—there’s no sense in dating him anymore. So right away we see a primary motivator in men. Fear! They can act all cocky and confident and alpha male, sure, like no one’s business, right? But when it comes to trusting someone, to being vulnerable, to trying for a serious long-term relationship, THAT’S where a lot of men lose their confidence and start freaking out. When a man feels fear of intimacy, he doesn’t cry, he doesn’t outwardly panic or hyperventilate. No, he closes up. He rolls up into a defensive, Stegosaurus-like ball of sharp, impenetrable armor. On the outside he seems aloof, distant, even cold. But inside, he’s scared to death that he might actually feel something. And yes, he’s afraid of being in a relationship and doing something wrong. He doesn’t want to hurt you. He doesn’t want to make a mistake and be trapped in a relationship he doesn’t want. Full scale panic! Which of course, the tough guy expresses as a tight, long smile. So what might help is for you to assuage his fears and help him realize that you’re right there with him. You’re NOT pressuring him for a commitment. You’re not trying to push him forward. You feel just like him and want to just explore what you both feel at a comfortable pace. But before you start sending him those “comfort signals” let’s make sure this is what he’s actually feeling. If you notice your guy doing any of the following behaviors, then it’s clear to us that he wants a relationship but is scared of screwing things up. 1. He never says the word “love”. Men who don’t really think much about love don’t mind talking about love. They may even use it frequently, like a swear word, just because it doesn’t have any emotional meaning. Men who are actually falling in with a woman, and afraid of how it feels, avoid the word like a superstition. They don’t joke about it, they don’t say it, they may go out of their way to choose another word besides “love” – just because they’re afraid of sending the wrong impression. No guy wants to come across as too desperate. He thinks that if he says he’s in love with you too soon, he’s going to ruin the whole relationship. Maybe he’s waiting for the “perfect moment”, or maybe he’s just in denial. But if he hasn’t spoken the word and seems spooked whenever you broach the subject of love, there you go! 2. He still has weird relationship baggage. It’s always frustrating when a guy seems bitter about his ex, right? But he seems obsessed with it and occasionally talks about what happened – why she was wrong and why he was right, yada yada. Why in the world would a guy do this? Probably because he’s scared of you doing the exact same thing. It’s very possible he doesn’t love his ex anymore. But he’s still trying to get rid of the emotional baggage he suffered because of the last relationship. He’s in that phase where he’s stereotyping all women and assuming that you’re going to cheat on him, abandon him, or laugh at him just when he begins to give you his heart. You know, because his ex did it. Sure, it’s a silly attitude but this is part of the fear that’s holding him back. You have to be patient and communicative to show him (not just tell him) that not all women are his ex. He can heal and be happy if he’s willing to let go. Awkward silence is a sure “tell” that your man is feeling something strong and emotional and yet can’t tell you. Deep down, he desires to you tell everything. He wants to share and he wants you to accept him. However, he is afraid of being judged, or afraid that you won’t understand, or perhaps afraid of himself being in a relationship with you. He has so much to say, but deep down he doubts whether you understand him—where he comes from and what he feels. He may even feel that he doesn’t deserve you. It’s time to start daring him to be honest. Tell him to shock you. Give him permission to unload, so that he can understand there’s nothing he can’t tell you. And the more honest he is, the more you can begin to trust each other. 4. He’s too afraid to even THINK about the future. When you’re together he’s all about the moment. But he has no imagination. No vision. Not even the courage to follow you into a hypothetical future. He just doesn’t want to play “the future.” He may be mum, mute, or completely passive when you start hinting around about what may someday happen. He’s stuck in the moment because he’s too scared of increasing his personal irresponsibility. He associates change and more commitment with disagreements, arguing and grief. He’s too afraid to change the dynamic of the relationship and risk losing things the way they are now—fun, no responsibility, no trust necessary. 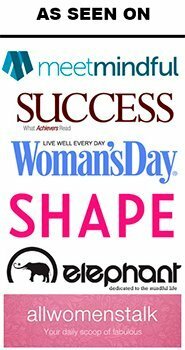 Understand that sometimes men go through phases of independence, followed by a craving for commitment and greater intimacy—even routine. Young guys obviously don’t want to be tied down when they’re young. Older men are more open to commitment, so as long as they don’t feel controlled. In the worst case scenario, where he absolutely won’t budge, you do have to let him know that you’re not going to wait forever. That either way, he’s going to lose the “now” and things will have to change. You don’t need his commitment. You want it, but you’re not going to beg. Eventually, you will both have to go your separate ways…IF he can’t start taking steps towards a commitment. The key is to motivate him to take small steps, not pressure him to dive into a full commitment. If he wants more intimacy with you he will take baby steps towards a committed relationship, with some compromises for his independent spirit. Let him know that only the peripherals change. The things he likes, the feelings he adores, will keep going on. His independence will always be assured. He’s not giving up anything by being with you. He’s just finding a secure place, a place where he no longer has to be afraid! 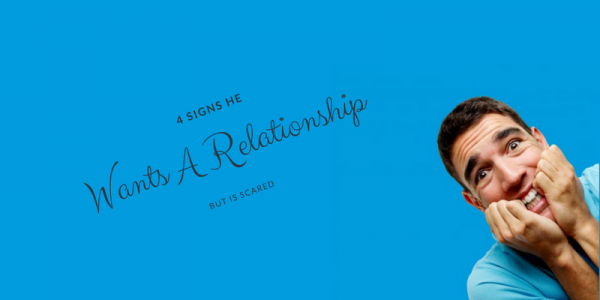 Hey Buddy!, I found this information for you: "4 Signs He Wants a Relationship But Is Scared". Here is the website link: https://commitmentconnection.com/4-signs-he-wants-a-relationship-but-is-scared/. Thank you.